The vacancy rate in the nationwide retail market increased by 10 basis points for the second-consecutive quarter to reach 5.2 percent in the just-ended third quarter as retail leasing and net absorption slowed despite continued improvement in the broader economy and growing consumer spending power, according to CoStar analysts. A slowdown in third-quarter leasing performance for the U.S. commercial real estate market – including South Jersey retail space – reflects the ongoing store closures announced by several major retailers. Retailers have, in total, announced a record 101 million square feet of store closings this year on the heels of 83 million square feet of store space that went dark in 2016. Despite these signs of decelerating leasing demand for the national and South Jersey commercial real estate markets, some analysts believe record levels of store closures eventually will have a ‘healing effect’ on the market as the weakest shopping centers shut down or are repurposed. 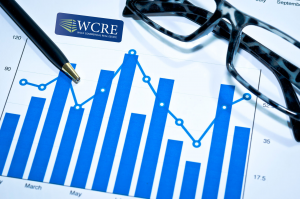 This report on U.S. and South Jersey commercial properties is being made through South Jersey commercial real estate broker Wolf Commercial Real Estate, a South Jersey commercial real estate brokerage firm focusing on South Jersey retail properties. Analysts argue recent weakening of fundamentals does not necessarily justify a doomsday scenario, claiming that the focus on the ongoing purge among national and South Jersey commercial real estate properties masks the best-performing centers, many of which are adding stores and maintaining occupancy. One major issue contributing to concerns on Wall Street about U.S. and South Jersey commercial real estate listings is the staggering amount of debt held by retail chains, incurred in part during the wave of leveraged buyouts by private-equity firms in recent years. The best-performing malls and shopping centers operating in the U.S. commercial real estate market – including South Jersey retail space – will continue to attract tenants and retain value. Average and lower-performing properties will continue lose value and eventually close or be repurposed, according to the report. U.S. retailers dealing with national and South Jersey commercial real estate listings expect to open nearly 4,100 more stores than they will close in 2017, a conveniently overlooked fact in many news headlines focused chiefly on the number of store closings, according to “Decluttering the Retail Landscape,” a recent report by TH Real Estate. For more information about South Jersey office space, South Jersey retail space and South Jersey industrial space or other South Jersey commercial properties, please call 856-857-6300 to speak with Jason Wolf (jason.wolf@wolfcre.com) at Wolf Commercial Real Estate, a leading South Jersey commercial real estate broker that specializes in South Jersey office space, South Jersey retail space and South Jersey industrial space. Wolf Commercial Real Estate, a South Jersey commercial real estate broker with expertise in South Jersey commercial real estate listings, provides unparalleled expertise in matching companies and individuals seeking new South Jersey office space, South Jersey retail space or South Jersey industrial space with the South Jersey commercial properties that best meets their needs. As experts in South Jersey commercial real estate listings and services, the team at our South Jersey commercial real estate brokerage firm provides ongoing detailed information about South Jersey commercial properties to our clients and prospects to help them achieve their real estate goals. If you are looking for South Jersey office space, South Jersey retail space or South Jersey industrial space for sale or lease, Wolf Commercial Real Estate is the South Jersey commercial real estate broker you need — a strategic partner who is fully invested in your long-term growth and success. Please visit our websites for a full listing of South Jersey and Philadelphia commercial properties for lease or sale through our South Jersey commercial real estate brokerage firm.